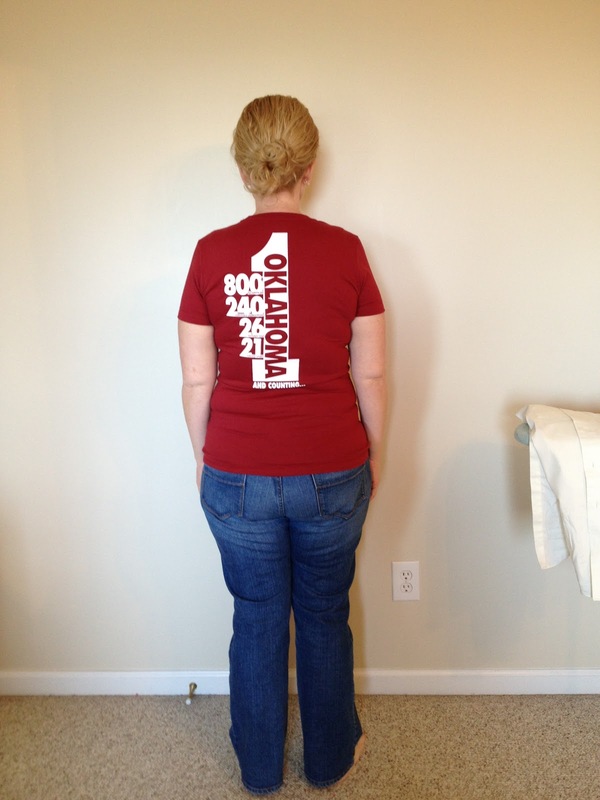 We bought new University of Oklahoma t-shirts for our family for Christmas and I misread the sizes when ordering mine. Um, it’s too small. I thought I was buying it a tad fitted, but turns out its definitely too small to wear in public. Well, I’ve decided to just try and see. I would also like to run another 10K, or two, this year. When I look at those pictures I’m amazed it’s me. 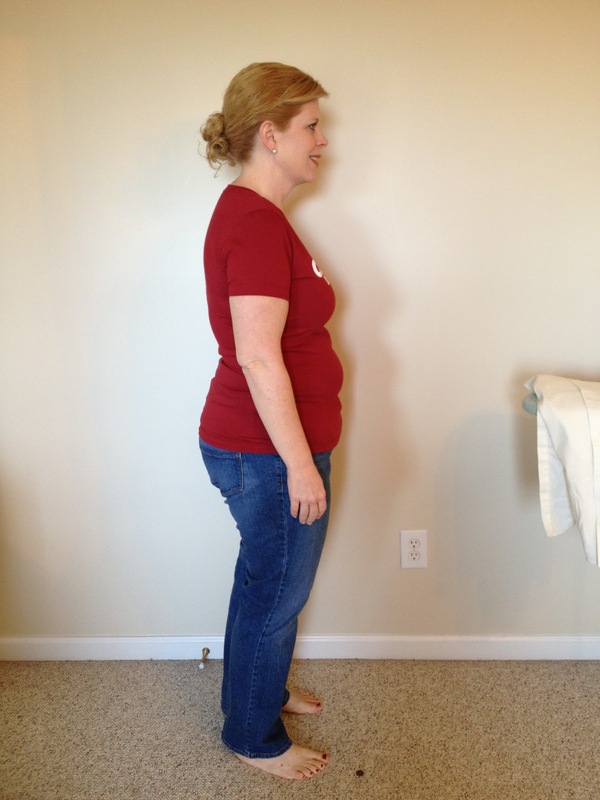 I haven’t been this size, and stayed there, for so many years that I was surprised to see how small I look when my daughter showed me the shots. So, while I grin when I realize I’m this thinner version of my[old]self…having this t-shirt be too tight was a good reminder for me. It gives me a motivation to deal with a deeper issue that I still struggle with in my health — eating when I’m not hungry, too often. So, 2013…I’m ready. I know it won’t be easy, but I also know I’ve come a long way and with God all things are possible! 4 Responses to Happy 2013 ! 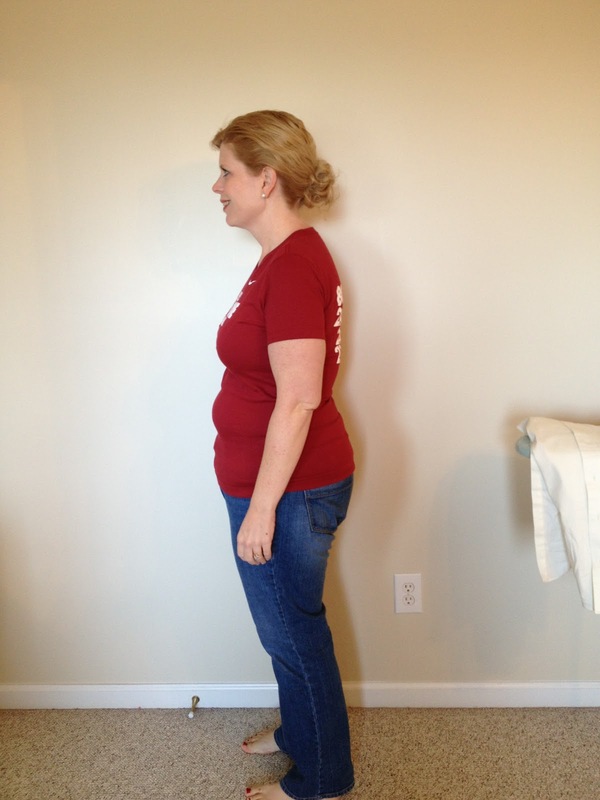 Doesn't look like you have far to go to fit into that shirt! here is to a healthy, successful 2013! You look great and very tiny! That shirt doesn't really look all that tight. Do some serious strength training and it will be loose before you know it! You look amazing. 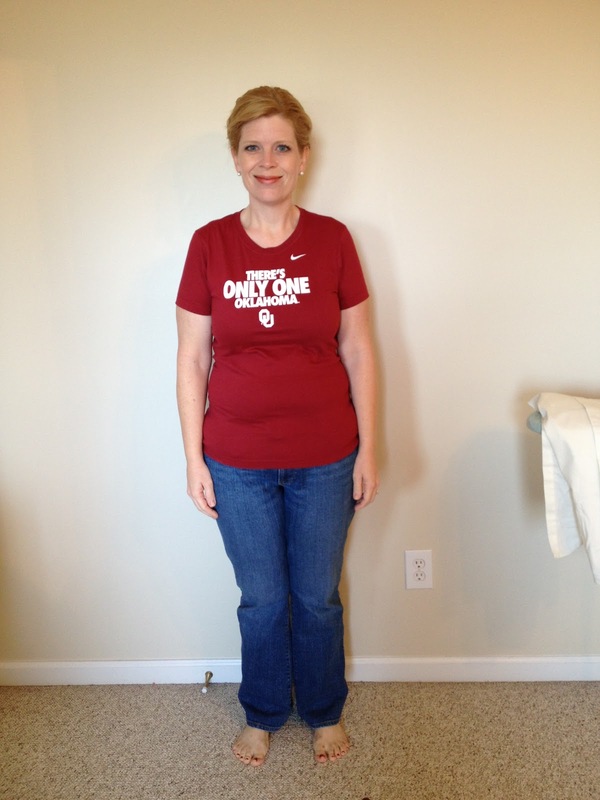 I'm with Lori; some serious strength training (especially core work) and that shirt will be loose.